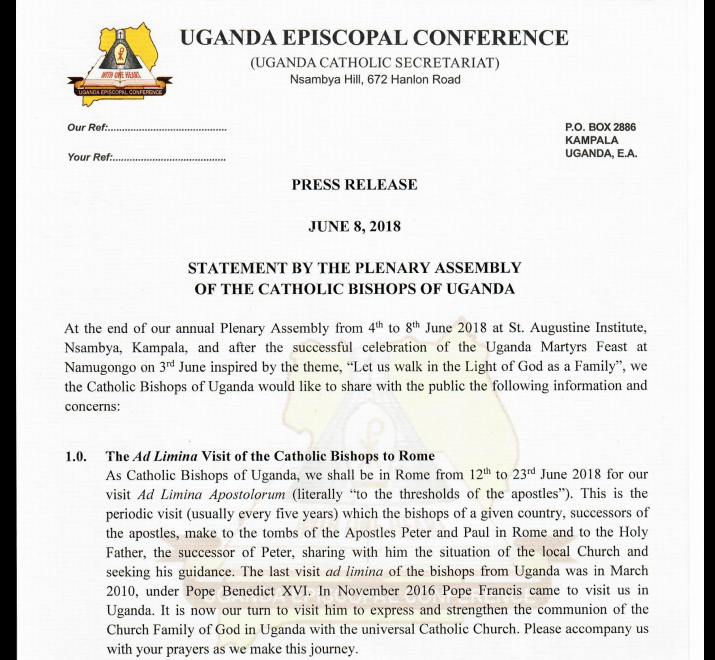 NSAMBYA – The Uganda Episcopal Conference, the assembly of the Catholic Bishops has announced the Church is in the final stages of starting a national television station to promote evangelisation and church work. 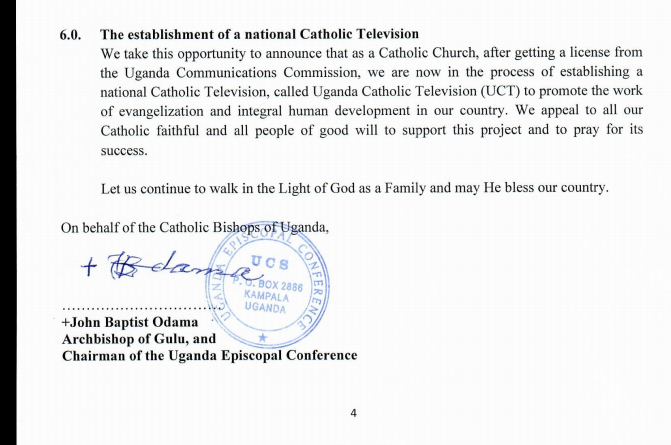 According to a statement issued on Wednesday by Archbishop John Baptist Odama, the Chairman of the Conference, the church after acquiring an operating license from Uganda Communications Communication (UCC), is now in the final stages of putting the Uganda Catholic Television (UCT) on air. “We appeal to all our catholic faithful and all people of good will to support this project and prayer for its success,” Archbishop Odama said in a statement, before the bishops departed for Rome, Italy, where they are scheduled to meet the Pope. “This is the periodic visit (usually every five years) which the bishops of a given country, successors of the apostles, make to the tombs of the apostles Peter and Paul in Rome and to the Holy Father, successor of Peter, sharing with him the situation of the local church and seeking his guidance,” Archbishop Odama said.